The Ordinary Life of an Extraordinary Girl: Join us on our Magical Mystery College Tour - or Cincinnati here we come! Join us on our Magical Mystery College Tour - or Cincinnati here we come! 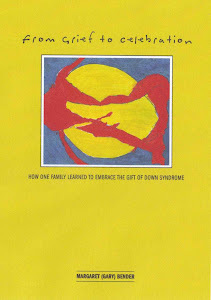 A huge thanks to my on-line down syndrome Circle of Support. After writing of Alex’s disappointment in being turned down at The College of New Jersey I received lots and lots of great information. By way of background, Alex has wanted to attend college for four years now, just like her sister and her brother who has elected to go to Boulder next year. She graduated from high school in 2012 with an academic diploma and is ineligible for any transition services. So, who am I to say no? I’d like to acknowledge some of the members of our college circle for their right-on recommendations. I’d also like to thank everyone who read that post, which shot up to the fourth most read post of all time. I hope I did not miss anyone. Susan at April’s Anecdotes who suggested The University of Cincinnati. UC has a program called Transition and Access. Alex has an interview on April 22nd and I will finally get to meet this awesome blogger! Beth at Hannah’s Shenanigans, who mentioned George Mason University’s LIFE program and Virginia Commonwealth University’s Partnership for People with Disabilities. We may head there at some point too! I also received a comment from “Unknown” who suggested the University of New Mexico, and another person suggested the University of Vermont. Through the listserv at Think College I learned the SUNY Schools have programs too.I could not verify these programs met Alex’s criteria. John O'Brien and his wife and partner Connie Lyle O'Brien have been in the forefront of thinking and creating precedent setting innovations that helped to created full lives for people with disability labels the world over. In addition to developing many of the planning systems used internationally, training thousands of facilitators and human service workers, they have also been writers with enormous insight and sensitivity. Check out some of their books that Inclusion Press has been privileged to publish. I first met Connie and John in Georgia at the GA Council on Developmental Disabilities February 2012 retreat. Connie has since been to our Valley and worked with some of our young adults with disabilities. I am honored to be able to include her in Alex’s circle. Connie suggested the Syracuse University’s Onsite Program and the Georgia Inclusive Post-Secondary Education Consortium. Our circles are powerful and through your notes and ideas I have regained my focus and we are back on the college hunt! Thank you! Oh and by the way... haven't I filled out my share of paperwork yet? I just meet a woman who works for the Georgia State University's Center of Leadership in Disability. She might be a great contact for you for the GA area. Her name is Susanna Miller and her email address is smiller65@gsu.edu. Thanks for the info...We love ALL ideas! Kennesaw State - the GA college (I believe) is minutes away from where we live so if it is on your tour please let me know!!!! 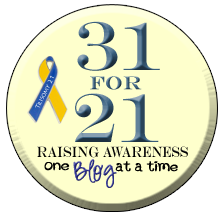 And again thank you so much for blogging about these topics - I know I'm 15 years away from these issues but I worry about them none the less and your journey give me great insights.